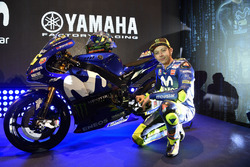 Starting from the front row, Rossi was engaged in a thrilling three-way battle with Jorge Lorenzo and Marc Marquez. Valentino Rossi had the Italian fans rejoicing at Misano after the Movistar Yamaha MotoGP star won his first race of the season in an intriguing San Marino and Rimini Grand Prix. 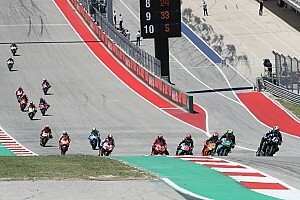 Starting from the front row, Rossi was engaged in a thrilling three-way battle for the lead in the early stages of the race with teammate Jorge Lorenzo and Repsol Honda’s Marc Marquez, with Rossi taking the race lead on the fourth lap. 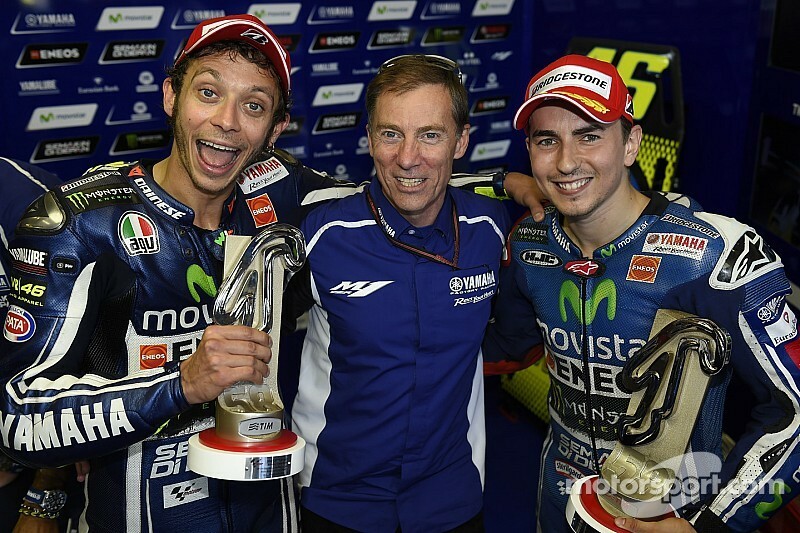 After fending off an attack from Marquez - who crashed at turn four while challenging for first place before re-joining the race – Rossi was able to build a gap over Lorenzo and ultimately crossed the finish line 1.578 seconds ahead of his teammate, with the pair ensuring a 1-2 finish for Yamaha. 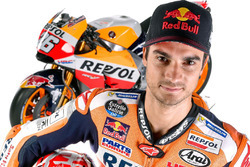 In third place at Misano was Repsol Honda’s Dani Pedrosa, the Spaniard crossing the finish line another couple of seconds behind the leading pair. 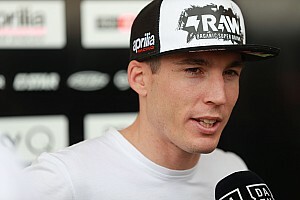 I’m very happy to win today, especially here at Misano in front of my fans, family and friends. Today was the warmest day of the race weekend, although the peak track temperature of 37°C recorded during the race was just 3°C higher than yesterday’s peak. As a result, the race tyre choice was similar to what the riders used during race simulations in yesterday’s Free Practice 4 session. Front tyre choice was quite consistent throughout the twenty-three riders on the grid for the race, with all riders except Jorge Lorenzo selecting the medium compound front slick, with the Spaniard instead selecting the hard compound front. Rear tyre choice was split evenly across the grid, with twelve riders selecting the medium compound rear slick, and the other eleven riders selecting the soft compound rear slick. 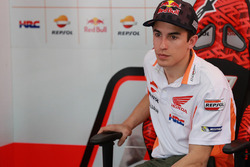 Although he only claimed a single point at Misano, Marquez still maintains a seventy-four point lead in the championship standings over teammate Pedrosa with five rounds remaining. Courtesy of his first win of the season Rossi closes the gap to Pedrosa to just two points as the battle for second place in the championship intensifies.